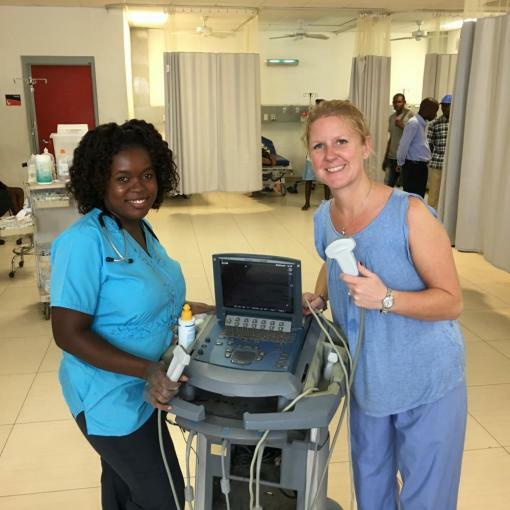 The mission of the Division of Emergency Ultrasound (EUS) is to develop and maintain excellence in emergency department diagnostic and procedural point-of-care ultrasound. The division provides education to residents, medical students, faculty, and fellows. In addition, we are actively conducting multiple emergency ultrasound research projects and we provide continuous quality assurance on all of the images obtained in our department. 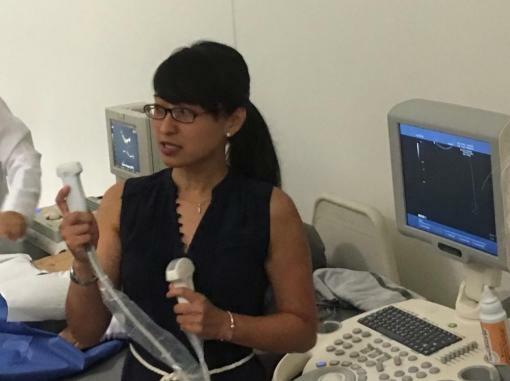 Dr. Kristin Dwyer MD, MPH, is the director of the Ultrasound Fellowship and the director of the Division of Emergency Ultrasound (EUS) which consists of a vibrant and dedicated staff. Dr. Erika Constantine is the Pediatric EUS director. Dr. Shirley Wu is the Medical School EUS program director. Dr Frantz Gibbs is the EUS Nursing and Advanced Professional Practitioner Education Director. Dr. Otto Liebmann provides integral support for all aspects of the program including resident rotation, journal clubs and quality assurance. 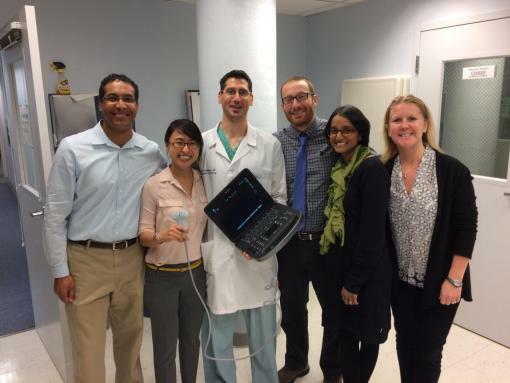 Residents get EUS training throughout their four-year program. 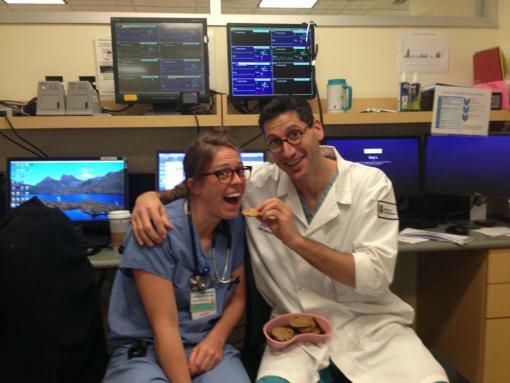 During their intern year, residents have a dedicated one month-long EUS rotation which is followed by on-shift training. There is an additional EUS elective that many senior EM residents take advantage of to hone their basic skills or develop new more advanced techniques before graduating. 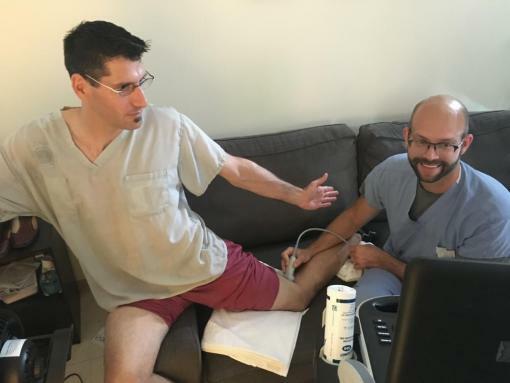 PEM fellows follow a comprehensive ultrasound curriculum which spans over the course of their 3 years of training and includes scanning, teaching and image review. 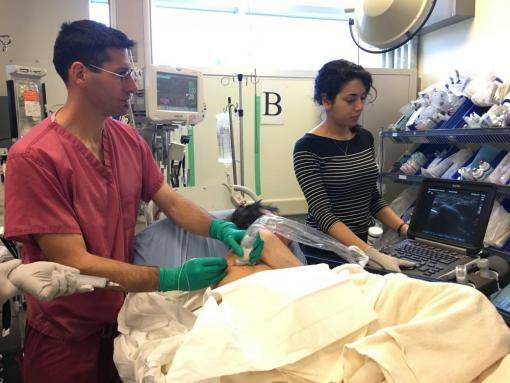 Medical students from either the Brown Alpert Medical School or visiting students from other medical schools can elect to participate in a one month EUS elective where they perform ultrasound scans with faculty and residents in the emergency department. 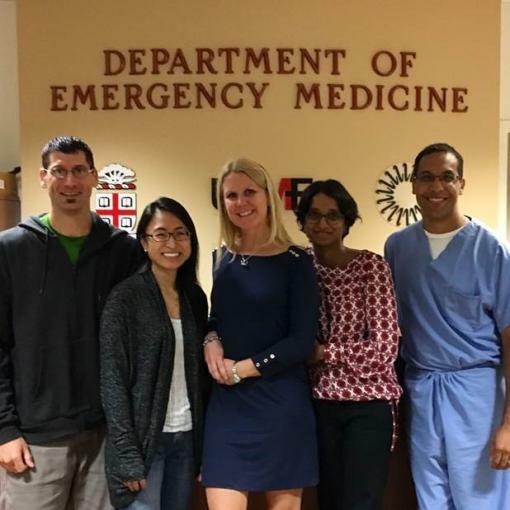 Fellows complete a one-year EUS Fellowship program that prepares EM residency graduates to become fellowship directors at academic and community hospitals. 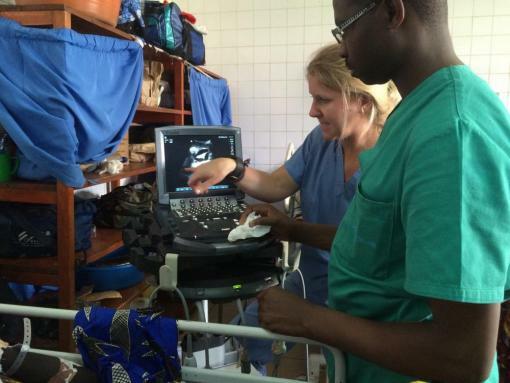 Faculty members have been course directors and course instructors at the local (Brown EUS Course, Yale NewportCourse, Maine Medical PPOCUS course), regional (RI ACEP, MACEP), national (ACEP, AAP, P2Network) and international (Uganda, Germany, Israel, Mexico, Cuba, Vietnam, Rwanda and Haiti) levels. 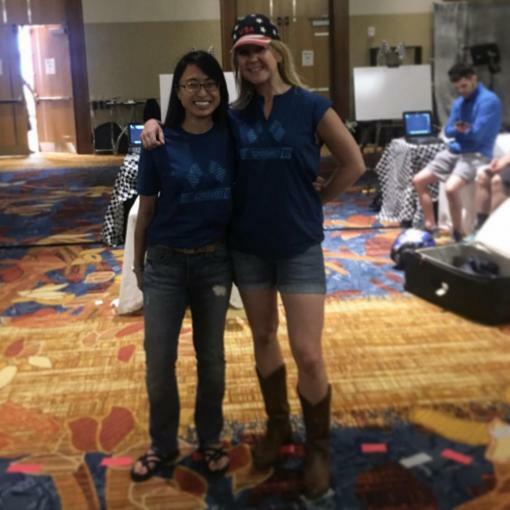 "Brown Participates in Indianapolis SAEM Sonogames Competition"